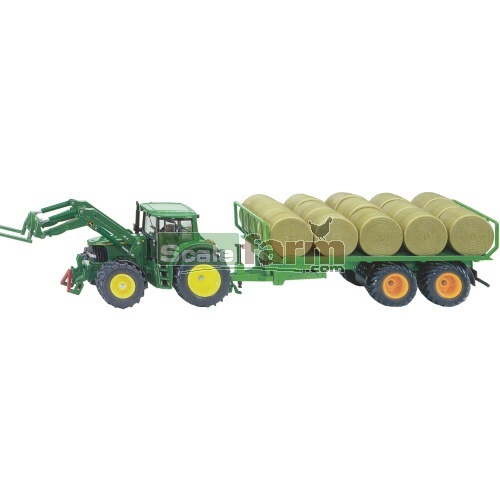 This pack includes a 1:32 scale John Deere 6920 tractor with front loader, a bale trailer and 15 round bales (44 mm diameter). It can load and unload bales from the side of the twin axled trailer. The tractor features pneumatic tyres and detachable cab. The front bale fork is detachable and compatible with Front Loader Accessories (SIKU 7070).